RACCOON Mk2 is a lightweight improved backpack based on our previous designs. 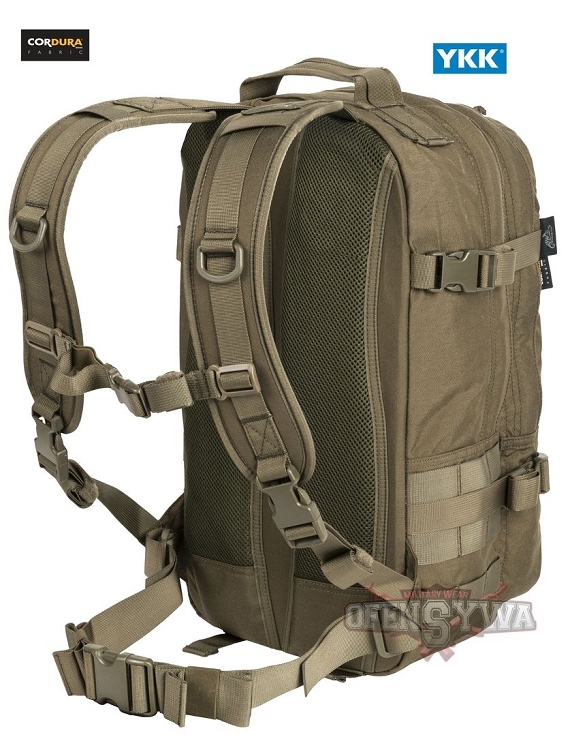 Its 20-liter capacity feels good for EDC and basic tactical tasks, when large backpack capacity is not needed. 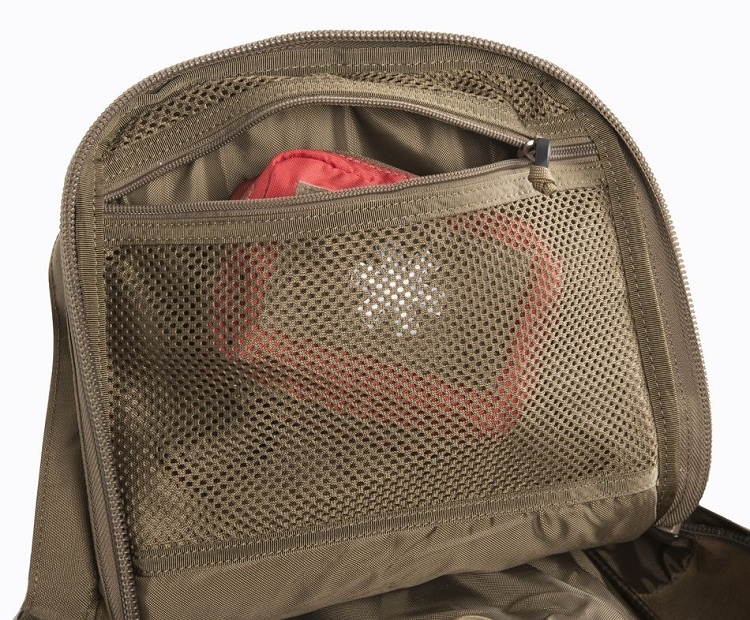 The main compartment features hydration bladder pocket with numerous tube exits. 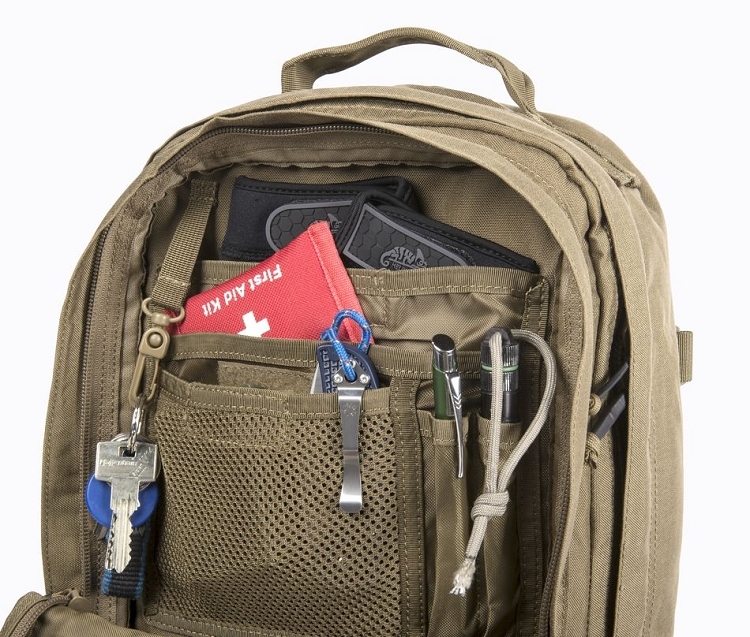 RACCOON is equipped with one external pocket with small organizer for additional items. The backpack carrying system is enhanced with removable back stiffener and soft, comfortable shoulder straps. For heavy loads the webbing hip belt distributes weight properly. 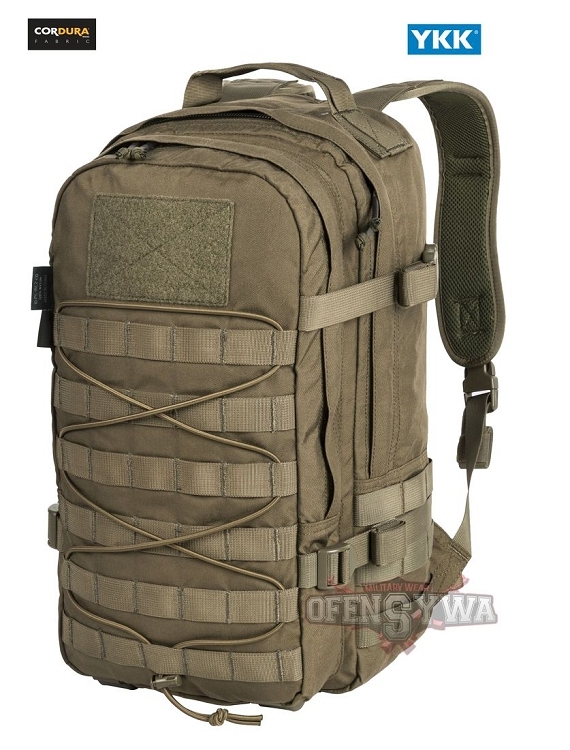 The backpack is compatible with MOLLE/PALS system. Shockcord allows attachment of additional equipment like jackets, sleeping mat etc.